Wondered how Ken Block might up the ante after Climbkhana? Here’s your answer. 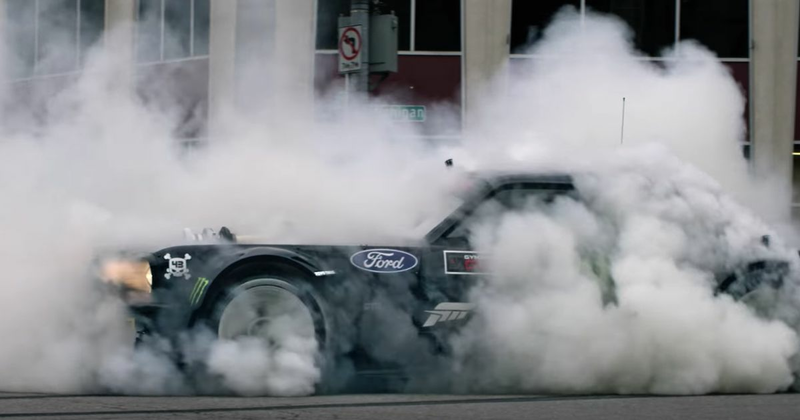 Gymhkhana Ten will feature five cars over five locations, and - of course - a load of tyre smoke. All five vehicles are Fords (because sponsorship), and described as ‘racecars’. Two are said to be “all-new for Block,” and there’s a third one being built from scratch that’s set to be just as bonkers as the 1400bhp, all-wheel drive ‘Hoonicorn’. Want to see how the series is put together? You’ll be able to get a behind-the-scenes look via an Amazon Original series called ‘Gymkhana Files’, which will also delve into Block’s life and career. As we saw from the recent Climbkhana making-of documentary, putting together these things isn’t exactly a walk in the park, so the series should make for interesting viewing.